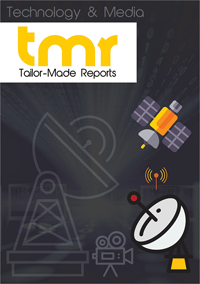 Of late, the U.S. radio frequency identification (RFID) tags market has been observing considerable growth. The benefits that RFID tags offer, such as enhanced operational efficiency, improved asset visibility and traceability, reduced pressure on manual processes, decreased costs, and increased reliability, is the main factor that is influencing this market. In 2016, the global market stood at US$809.4 mn. Researchers project the opportunity in this market to expand at a CAGR of 8.50% between 2017 and 2025 and reach a value of US$1.67 Bn by 2025 end. This research study is a thorough and systematic examination of the performance of the U.S. market for RFID tags in past and over the period from 2016 to 2024. The market report especially focuses on the growth boosters, obstructions, challenges, prospects, and the prominent trends in this market in an effort to determine the pace of its progress. Healthcare tags, correctional tags, and commercial tags have surfaced as the most valued products available in the market for RFID tags in the U.S. Among these, the demand for commercial tags is much higher than other. Researchers expect this trend to continue in the near future, thanks to the rise in the retail sector and the increasing focus of commercial enterprises on safety and security of products. The demand for healthcare tags is also projected to increase substantially in the years to come due to the increasing need for medical devices tracking. Passive RFID tags have been witnessing a substantial demand all across the U.S., thanks to the efficiency they offer. However, active RFID tags are also projected to report a rise in their demand in the near future, especially from the surveillance and security sector. RFID tags find considerable application into the healthcare, automotive, retail, surveillance and security logistics and transportation, and several other industries, such as sports, livestock, wildlife, and information technology in the U.S. Among these, the logistics and transportation industry is reporting the most prominent demand for RFID tags and the scenario is expected to continue to be more or less the same over the next few years. In this industry, RFID-based technologies are extensively deployed to enhance security and safety during transportation of products, thereby increasing the efficacy of the transportation system and adding to the way of living of consumers in this country. The retail and healthcare sector follows the logistics and transportation industry closely in terms of the consumption of RFID tags. The U.S. market for RFID tags is highly competitive and fragmented on account of the presence of a number of players. Researchers anticipate this market to witness intensified competition over the next few years. AMS AG, Impinj Inc., Atmel Corp., Alien Technology, HID USA Corp., Invengo Information Technology Co. Ltd., Omni- ID Ltd., Confidex Ltd., NXP Semiconductors N.V., and RF Code Inc. are some of the leading players in the RFID tags market in the U.S.